With proxy servers, you can establish a secure connection between the remote server and your personal computer. Proxy servers can be established via internet connections due to which each browser will use the proxy settings. Alternatively, you can setup proxy settings on individual browsers as well. In this tutorial, we will be focusing on Google Chrome in particular. Follow the step by step guide below and learn how to setup a proxy in chrome. Once the settings window opens up,scroll down and click on the “Show advance settings”option. This will load further options within the same page. 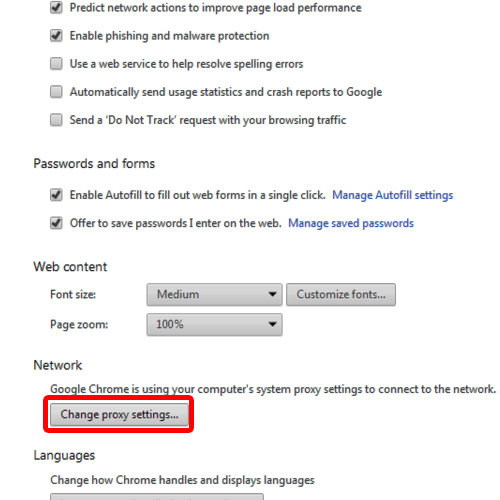 Now move over to the network section from where you will be able to change the proxy settings in chrome. 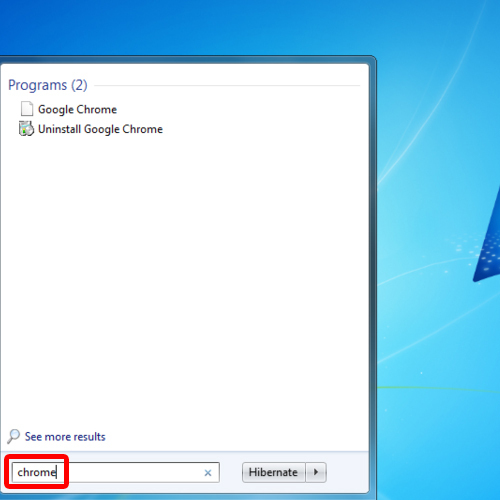 To do that, click on the “Change proxy Settings”button. Once you click on the change proxy settings button, a new window will open up. 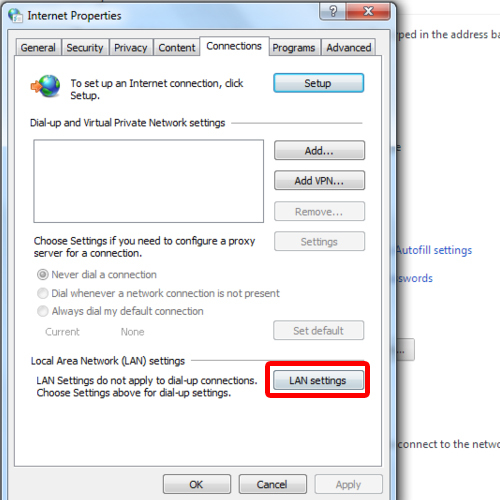 This is the internet properties window, from where you can change the local area network settings. Once the internet properties window opens up, make sure you have the connections tab opened up. Over here, click on the“LAN settings” button towards the bottom of the window. With that done, the local area network settings window will open up. Over here, under the Automatic configuration section, tick on the checkbox titled “automatically detect settings”. 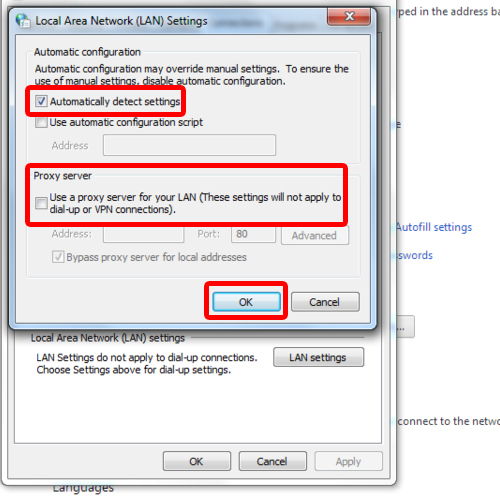 Furthermore, move to the proxy server section and tick on the checkbox titled “use a proxy server for your lan”. Now you can input the proxy in the address field along with the port.And that’s all you need to know for how to setup proxy in chrome.Once done, click on the “Ok” button to save the changes made and exit. 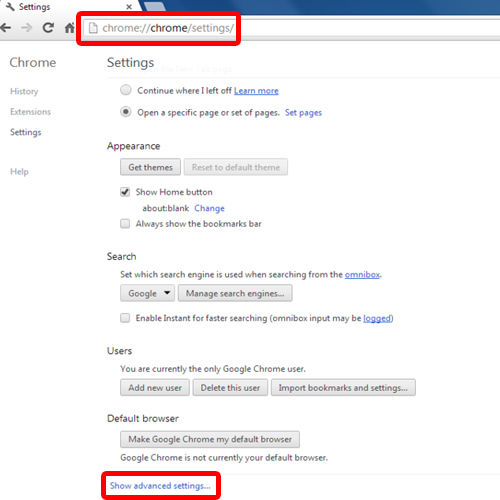 From here, search for proxy andthe network section will pop up from where you can change the proxy settings.